Dark clouds are gathering in the vape space. Yes, every other strip mall in America has a vape shop, and each of those sells a variety of lightsaber-looking devices, fiddly electronic replacement parts and hundreds of flavors of e-juice with names like That Thai Tea Tho. Even Jason Mewes, as in Jay of Jay and Silent Bob, has his own e-juice company. And the global vape market is predicted to grow to $32 billion in the next five years. But this past summer, the FDA came out with a ruling that classified all vape-related goods as tobacco products. That means that they’re subject to the same regulations as cigarettes, so vape businesses must now go through an expensive review process and comply with a strict set of safety guidelines. On top of that, a proposition on the ballot in California this November, Prop 56, would raise taxes on both cigarettes and e-cigarettes, amounting to a $3.37 flat tax on most vape-related products. To get some perspective on where vaping has been and where it’s headed in these troubled times, we turned to Norm Bour. 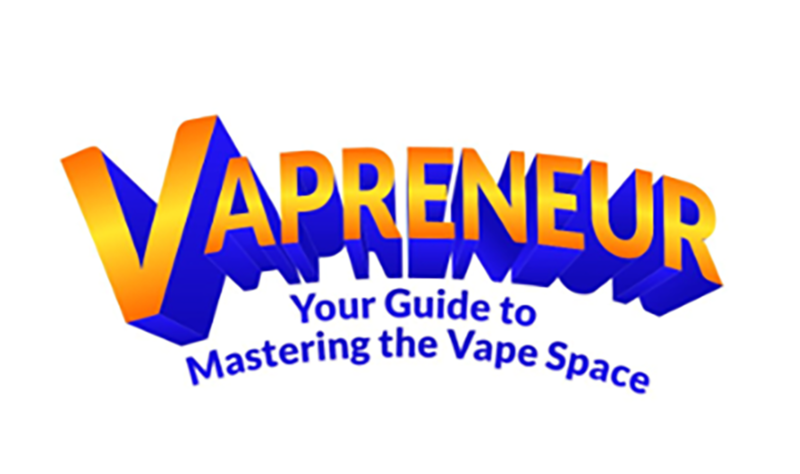 The Orange County–based founder of Vape Mentors (a vape business consultancy), author of the business book Vapreuneur, and columnist for Vape Magazine has made it his life’s work (for the past few years, anyway) to help aspiring e-cig CEOs turn their nebulous dreams into inexplicably dessert-flavored realities. Here’s six more sage vape-space insights, from the mouth of the Vape Mentor himself. Newbies, beware. The industry has moved beyond its gold rush days. There’s less room for amateurs. Two years ago, certainly three years ago, amateurs with no experience could enter — it was mostly startups when I started consulting; anyone and everyone thought they could open up a vape shop. It now takes some more serious cash to get started. People always ask how much money they need to start a vape business — back then it was maybe 30 grand, today it’s 50-plus. A few years ago, you could start an e-liquid company in a garage, come up with good flavors, do some social media marketing, and next thing you know you’re selling 10,000, 20,000 bottles a month and making decent money. Those days are gone. Same with brick-and-mortar shops — it used to be that you could go anywhere and be the only game in town. Today, especially in California, no matter where you go there’s gonna be a vape shop. Vape shops are no longer just for the youngs. At first, the businesses were started mostly by millennials who did it because they were passionate about it, and it was a social thing for them, where you hang out and you talk about different liquids and different types of mods. Then the Gen Xers came on board because they saw that other people were quitting smoking, and then the Baby Boomers. Now, surprisingly, the Gen Xes and Baby Boomers have been very, very dominant in the vape space — they’ve had the crap beat out of them before in the entrepreneurial world, and are coming in with passion, experience, and more money behind them. I would say 15 to 20 percent of my customers are now female Baby Boomers over the age of 50. They smoked for years, maybe decades, and see it not just as a business opportunity, but a way to give back. Can’t get your business off the ground? Consider moving to Europe. England is the strongest overseas vaping market right now, and the potential market in Europe is huge. The U.S. has definitely been the leader in vaping — we’ve got 40 percent penetration of smokers, whereas in Europe it’s only 2 percent. It’s very much an American thing, but people overseas love buying American things — it’s a form of rebellion, you know, of giving your middle finger to people. But because our hands are tied by the FDA now, I think Europe is where the most growth is going to be over the next few years. Vaping took off in California, and it’s big in the Sun Belt. It definitely started very, very strongly on the West Coast, but for the last couple years my strongest consulting state has been Florida — Florida has a huge vaping presence, especially around Miami and Tampa. Southern California is pretty much the leader of the industry — within a 30-minute drive of where I live in Newport Beach there are probably at least a dozen or more of the top e-liquid manufacturers in the world. Texas is a strong state from the retail sector, not so much in the e-liquid production. At one time the Southeast was going strong — Alabama, Mississippi, Georgia. Now there’s almost no city that you can go to without some vaping presence. The future of vaping might be cloudless. I’ve invested in a few companies — one of them is making a vape device that you can exhale into so it totally contains your vapor. A lot of people are into cloud-chasing [ed. The vape-space term for blowing sick clouds], and people see these voluminous puffs of clouds and automatically have a negative reaction because they think it’s smoke — it’s not; it’s water vapor. Imagine sitting in front row of the LA Phil and vaping in the front row, and no one knows that you’re doing it. A lot of people don’t like to be a pariah to society. Inhaling and exhaling back into the same device is a very discreet way of being able to vape.